We now have a new feature every week called, Free Download of the Week. 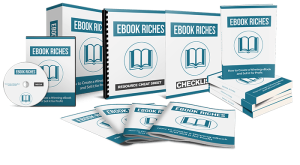 Each week we will be offering you a free download to get you started on your way to making money with resell digital products. You can also use the download for your own personal needs. More details after the Weekly Special section. Our new products available this week include how to create and make money with ebooks and instructional videos on how to get more free traffic to your site. Order $10.00 or more and get 10% off your entire order including our complete business packages and niche kits. Use the discount code tenoff when ordering. This code will be valid only through July 20, 2016. Q: Which bird is the only one that can see the color blue? A: This was a bit of a trick question because some sources say that owls are the only bird to see blue when in reality birds can see blue very well. This is why so many birds have blue feathers. Owls actually have poorer color vision than most other birds. Location – We have all heard the popular saying for brick and mortar businesses: Location, location, location. This is also true for many aspects of an online business. Where you put your call to action can be just as important as the colors or text you use. Make sure your call to action button is visible immediately. You don’t want people to have to scroll down to find it because they might just leave your site before seeing it. You also want your button on every page of your site. Many people believe using a pop up or slide in is considered spammy but they can be very successful. You should also have a call to action in multiple locations on each page.